I wasn’t quite sure what to call this salad because it has grilled chicken, but I can’t call it chicken salad, because that means something completely different. It has crasins and mandarin oranges, but I can’t call it a fruit salad. 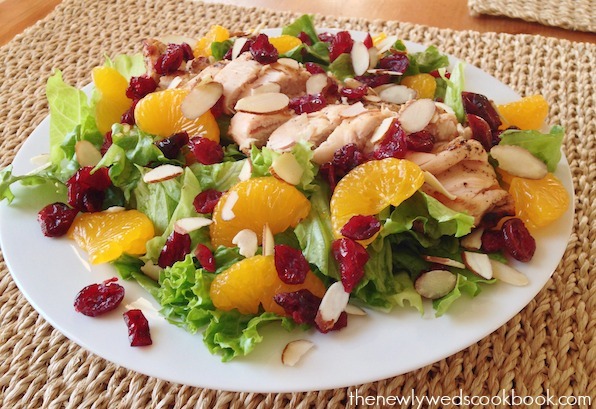 This delicious salad is topped with wonderfully prepared grilled chicken, mandarin oranges, craisins, slivered almonds and sprinkled with some raspberry wine vinegar. Can you say YUM?! 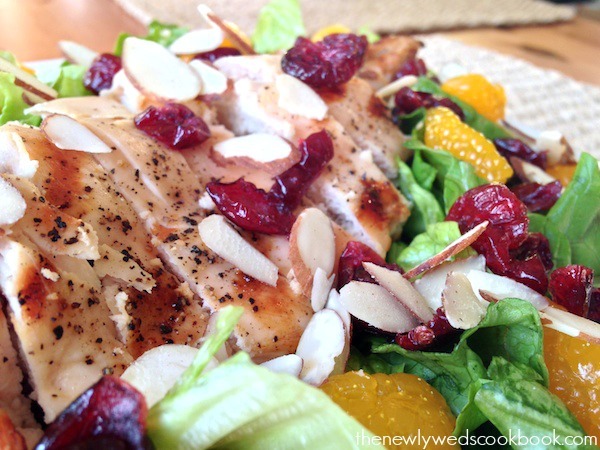 If you are a vegetarian, you can have this salad without the chicken. If you don’t like chicken, I’m sure this would taste good with some nice steak. Feel free to add some cheese, perhaps feta? 2. Top with some raspberry wine vinegar. You don’t need too much, because the mandarin oranges create a nice juice.